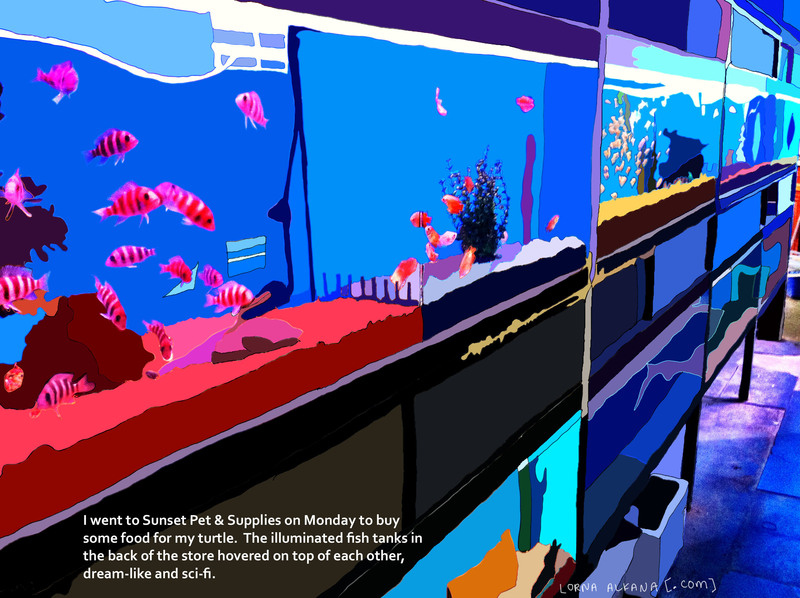 I went to Sunset Pet & Supplies on Monday to buy some food for my turtle. 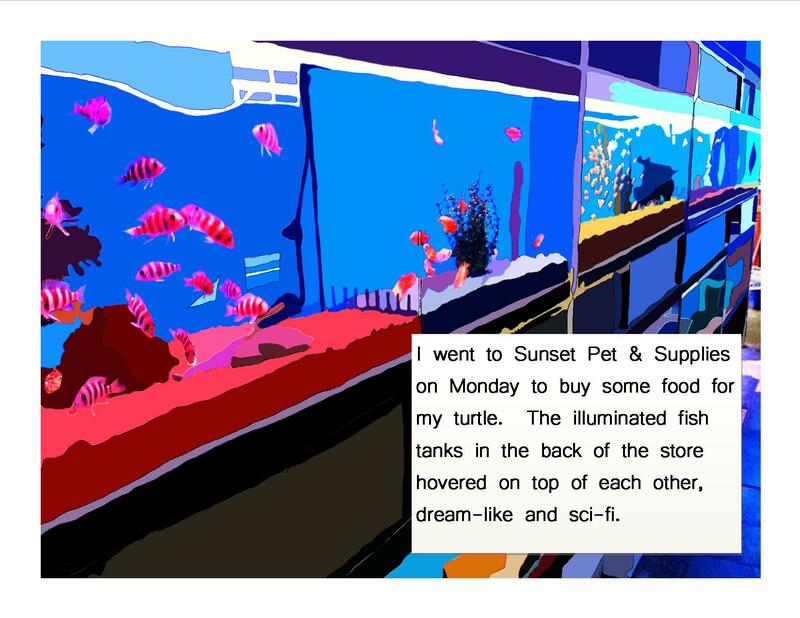 The illuminated fish tanks in the back of the store hovered on top of each other, dream-like and sci-fi. I changed the text so it’s not in a white box, but just in a white font straight on the image. I think it’s less obtrusive.